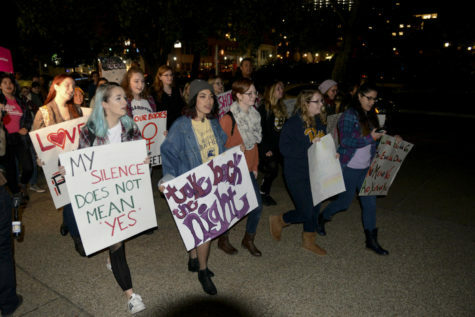 On the penultimate day of the 2019 Women’s Empowerment Week at the University of Pittsburgh, students took to the streets for the annual Take Back the Night march. This event has taken place at Pitt since the 1990s. Prior to the march, students participated in a sign making event where they also practiced the chants they would use once they hit the pavement. 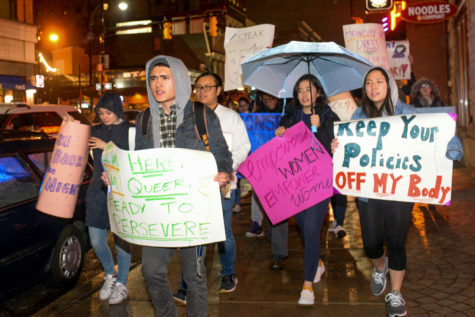 This year, the march was hosted by Asian Students Alliance, Female Empowerment Movement and Student Government Board.